Identifying your problem is part of the solution, but it’s not the solution. Top branding consultants realized that most companies know they have a mediocre branding strategy, but they do nothing to solve it. A good brand identity company can change the way people perceive your business, can raise its relevance, can make your products and services more attractive… A good brand identity company can change your future. Most of companies are stuck in a rut, but they can’t realize it, they just keep walking to nowhere. Those companies are spending a lot of money in advertising, packaging, merchandishing, etc. They’re wasting their budget showing their company image everywhere, but they are showing an old, mediocre image. It’s no use trying to run before you can walk. A good logo design is essential to build a solid marketing strategy. Once you have developed your new brand identity design you’ll need to plan carefully how you are going to tell your audience who you are now. Your clients just want a good story, so please, don’t give them your annual report… It’s very important to be consistent in what you’re telling to your audience. Keep your communication strategy simple, place your brand close to your audience and give them simple reasons to buy your products. 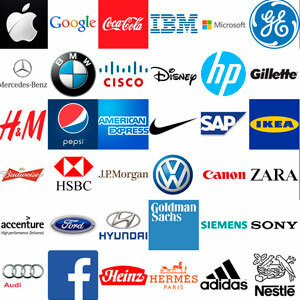 Professional branding consultants can help you to develope a solid branding strategy. Building a strong brand is such a hard task and not very often do DIY branding strategies reach high success rates.